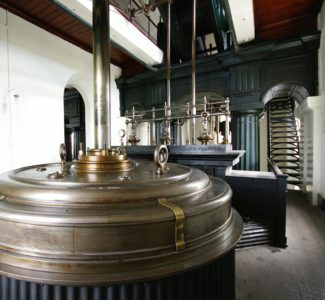 The 90 inch Engine is the largest working beam engine in the world. 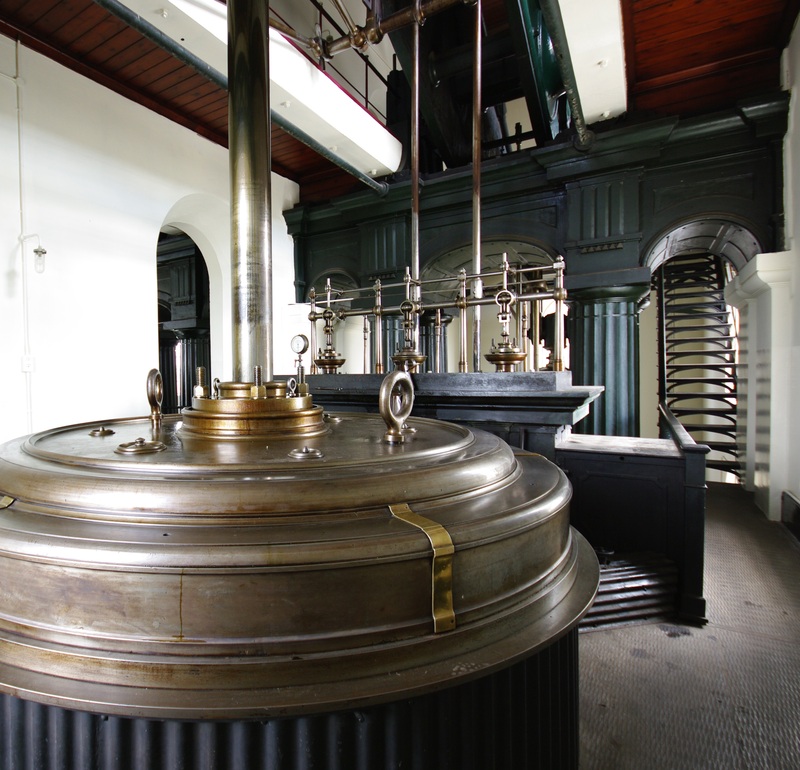 It was built in 1846 by Sandys, Carne & Vivian of Copperhouse Foundry, Hayle, Cornwall and was the first engine built in Cornwall specially for waterworks duty. Whilst the engine was being restored by Museum staff and volunteers in 1976, presenters from the Blue Peter television programme climbed into the cylinder through the exhaust valve and held a tea party underneath the piston. The 90″ Engine has also featured in popular television programmes, such as Top of the Pops, Murder Rooms and the feature films Wisdom of Crocodiles and The Golden Bowl. It has provided inspiration for many artists, being a grand example of Victorian waterworks architecture. The original pump plunger of 33 inch diameter was replaced in 1863 with one of 38 inches, this upped the rating of the engine from 5.5 to 7.5 million gallons a day working at 9 1/2 strokes per minute. The rating was later reduced to 6.4 million gallons per day. Today the engine is run at 6 to 6 1/2 strokes per minute and the weight of the plunger has been reduced from 45 to about 32 tons.